Drive Green. Call Independent Motors at (303) 449-8949 or book an appointment online. You’ll be glad you did! We all want to make the environment better to live in. It just makes sense. Protecting the planet is the best legacy that we can leave for ourselves and future generations to come. At Independent Motors, we get it. Did you know: The State of Colorado ranks among the top ten states with the best natural environments? While some auto repair shops talk organic, we live and breathe it daily. We are one of the first businesses in Boulder County to invest in clean and renewable energy, enrolling in the Xcel Energy Windsource for Business Program in the 1990s. 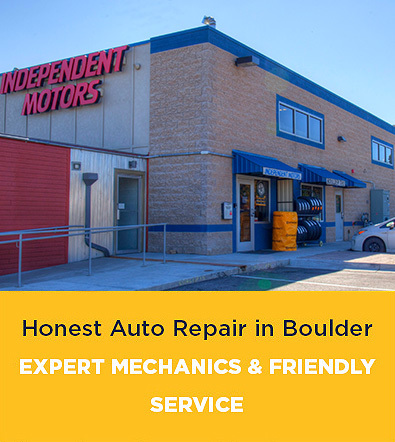 Moreover, Independent Motors is one of the first businesses in Boulder to join Partners for a Clean Environment (PACE) since it began back in 1993. Today, our commitment to environmental sustainability is stronger than ever. How can you help to economize fuel? I’m Bill Bender, Owner of Independent Motors. I invite you to visit us and schedule an appointment by calling (303) 449-8949. You’ll be glad you did! And so will the environment.